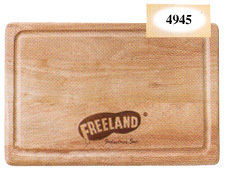 This attractive board comes with a convenient cutout handle and is our best seller. 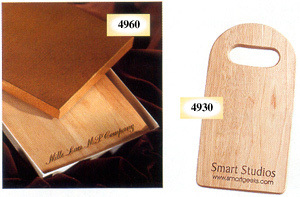 Order gift #4960 for board in individual gold gift box. Shipping weight: 2 lbs. Dimensions: 12” x 6 1/2” x 7/8”. Case pack: 24. Prices shown per piece. Order in complete case packs. Mailers not available. Engraving area: 5” x 1 1/2”. 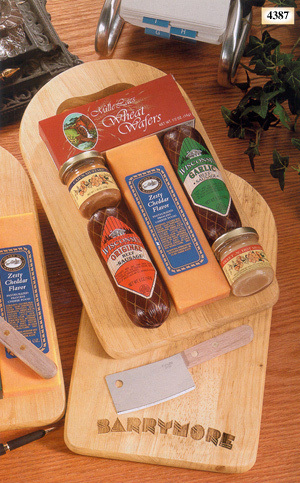 Made-in-Wisconsin cheeses and sausages combine with crispy crackers and mustards on this useful wood handled cutting board. Suitable for year-round gifts or promotions! Shipping weight: 3 lbs. Measures 12” x 6 ½” x 2 7/8”. Case pack: 6. Prices shown per piece. Engraving area: 5” x 1 1/2”. 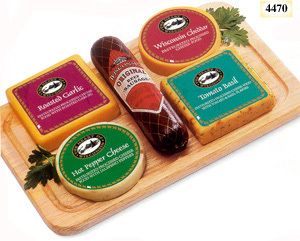 A handsome hardwood serving or cutting board boasts a sausage and a wonderful selection of tasty cheeses. Board can be laser engraved. Net weight: 1 lb. 11 oz. Shipping: 4 lbs. Measures 12” x 8” x 2”. Case pack: 12. Prices shown per piece. Engraving area: 5” x 1”. Board has convenient juice channel and measures 12” x 8” x 5/8”. Case pack: 24. Prices shown per piece. Order in complete case packs. Mailers not available. Engraving area: 5” x 1”.